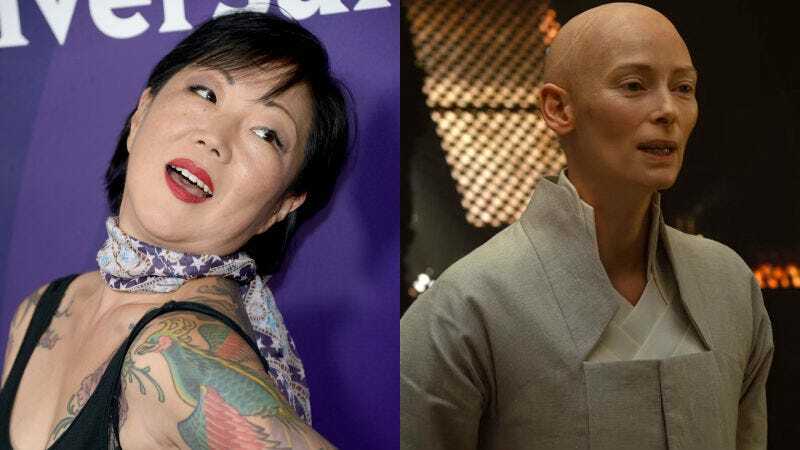 Tilda Swinton and Margaret Cho have enjoyed extensive discussion over Swinton’s casting as the Ancient One in Doctor Strange, who in the original comic was a Tibetan man. Though their email exchange originally took place in May, it only came to light during Cho’s appearance on Bobby Lee’s TigerBelly podcast earlier this week. Since then, Swinton’s camp has released the entire archive of their conversation, which, contrary to Cho’s assessment, seemed quite cordial. On the show, Lee and Cho talked about the tendency of Hollywood executives to whitewash films featuring Asian characters in the source material—Scarlett Johanssen’s character in Ghost in the Shell, for one, as well as casting for the film 21. “Hey that’s great about OKJA!,” Cho replied. Sounds pretty civil to me!